The branded Courtney Bluetooth Speaker and NFC Player is a small and portable solution for anyone who wants to listen to music wherever they are. 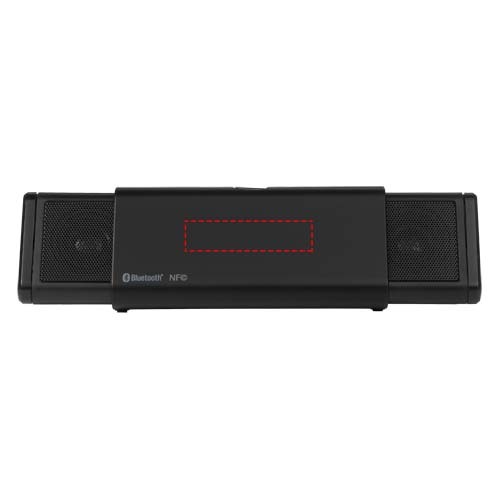 It packs in a lot of sound into the small device, and contains two speaker units to provide the full stereo effect. Slide them out to turn it on, and slide them back in to turn it off. 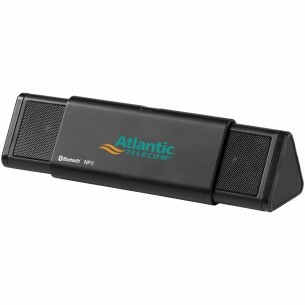 This speaker, which is presented in a gift box, will be popular with anyone who enjoys listening to music when you use it as your next promotional item.